PayScale’s College ROI Report was created to help answer the question “What is the value of a college degree?” While nobody can put a dollar amount on the value of education, PayScale’s ROI Report is meant to help students and their families think about the financial implications of choosing a college. The College ROI Report rankings by type help students find the value college by type based on the salaries of bachelor’s degree only graduates when they know what kind of school they want to go. Private School: Privately funded colleges. Liberal Arts School: Private schools, usually with smaller enrollments and with an emphasis on non-pre-professional undergraduate studies. (Liberal Arts schools can and usually do offer science, technology, engineering and math majors, but usually do not offer pre-professional degrees like business, nursing, and engineering. Arts, Music & Design School: Private schools that offer bachelor’s degrees, mostly or all related to the arts. Business School: Any school (public or private), which grants more than 50 percent of their undergraduate degrees in business, accounting, entrepreneurship, finance, human resources management, management information systems and marketing majors based on self-reported public data. Engineering School: Any school (public or private) which grants more than 50 percent of their undergraduate degrees in math, physical sciences, computer science, engineering and engineering technology majors based on self-reported public data. Research University: A school that grants Ph.D’s and sponsors research. Schools for Sports Fans: Colleges with a Division One football and/or basketball team. Party Schools: One of the 20 schools on the 2014 Princeton Review “Party Schools” list. Sober Schools: One of the 20 schools on the 2014 Princeton Review “Sober Schools” list. If you filter by school type, you’ll see some interesting trends. Engineering schools provide the highest return on investment by type overall – the average 20-year net ROI of an engineering school is $677,477. That’s higher than the average ROI of the nine Ivy League schools ($649,900). This doesn’t mean that a degree from Harvard is a worst investment than a degree from any college with an engineering focus. It’s a reflection of the fact that students who major in STEM (science, technology, engineering and math) subjects are more likely to go into high-paying jobs right out of college. Students who major in other subjects, like humanities, social sciences and liberal arts, tend to take a longer time to settle into a career path, and don’t see such high incomes consistently. Another interesting trend you see when you analyze the College ROI by type of school is that Party Schools, on average, have a higher return on investment than Research Universities. Again, this doesn’t mean that schools with a heavy focus on graduate education and research are a bad investment – this is another case where figures may be hurt because alumni with master’s degrees and PhDs aren’t included – but it does show that having a little fun in college isn’t necessarily a bad thing. 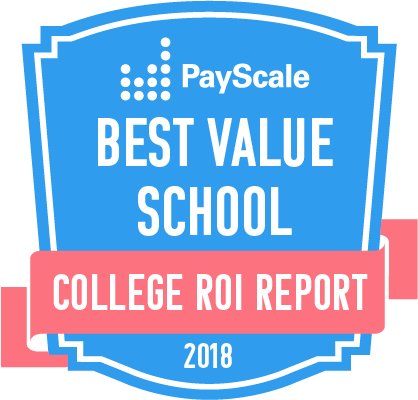 No matter what kind of school you have your heart set on, you can use PayScale’s College ROI Report by type lists to make sure you are making a smart financial decision.